Natural Gas makes zero electricity solar homes immediately viable. By far the cheapest way to heat water, cook and dry clothes for floridians is natural gas. Solar panels are used for cooling and all other electrical demand. With decades of new supply of natural gas, this hybrid approach should be the cheapest for years to come. Though some buyers may want to opt for 100% solar at an additional cost. 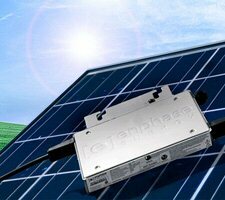 The proprietary solar panel we use exclusively are of the highest quality longest warranted in the industry. The 25 year warranty insures decades of power generation. Heats water only when the faucet is turned on dramatically reducing natural gas costs. For those that want to rid themselves of gasoline costs permanently, electric vehicle owners have the option of adding an equivalent amount of solar to offset the electrical usage of their vehicle. Ask your sales consultant for pricing.